I want to ask is there anyone from this community member that save all Sakura's blog from his MySpace account and/or the translation? Or do you know where I can find it? Because the last time I checked his account he already deleted it..
Just thought I'd pop in and mention that I'm selling a few ZIGZO Shounen Club issues over here if anyone might be interested. According to Sakura's twitter, there will be a Zigzo revival 2012.03.17 at Akasaka Blitz. There's also a Zigzo facebook page and twitter. I am a graphic design major in college. One of my current projects is to design a CD/album case for a band I knew nothing about when I started. 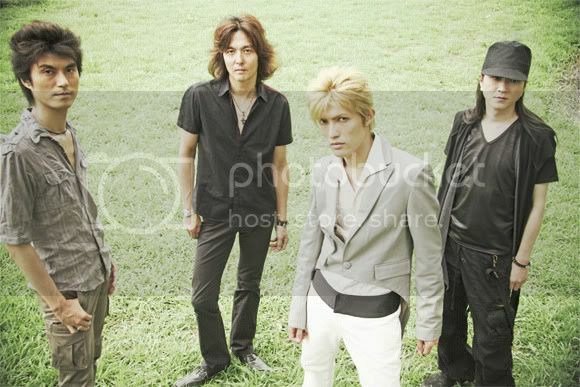 I picked L'arc~en~Ciel without even knowing they were Japanese, and now I get to struggle through a language barrier. I'm trying to learn all I can about the members of L'arc and their side projects, and it seems that no understanding of L'arc will be complete without also learning about Sakura-san. I've seen the words 'inner core' tossed around regarding him. Does that refer to the role he played in L'arc's early years? I'm curious about how his departure from the band affected the rest of the band and the group as a whole. I've looked at a lot of timelines on wikipedia, but wikis tend to be all cold facts, lacking in the emotions that make their events real to people. If anyone is willing to chat a little about Sakura and/or the current L'arc~en~Ciel members, I'd love to hear what you have to say! There are a couple of clips on youtube promoting CIRCUIT9's upcoming album (the release date was moved to Oct 26). The video, at least, is from their show Sept 24. 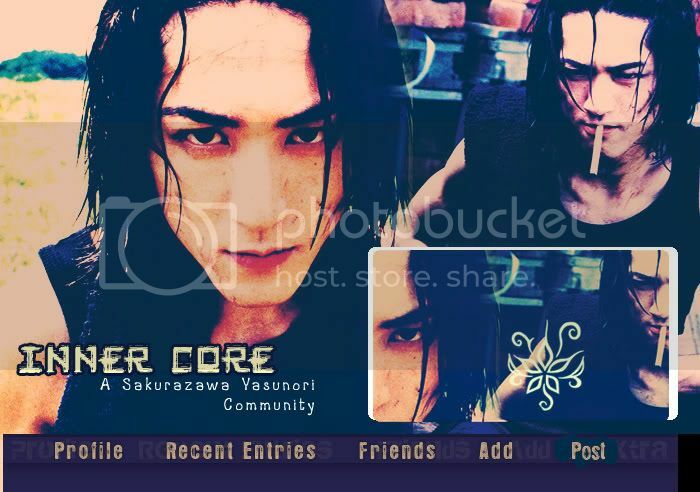 Official site: www.sakurazawayasunori.com, currently with information about his birthday show 2011/11/20“暗黒秋櫻” at shibuya O-WEST. Sakura's been playing with CIRCUIT9 since May 2010 under the name 野田ゆたか (Yutaka Noda) and has recently confirmed that he is the drummer. He also produced their album that comes out next month (9/14, Under the Sun). The name Yutaka Noda comes from his mother: Noda was her maiden name and, as near as I can tell, the name Yutaka was changed to 園子 because she was a girl. Their myspace has a few songs. He played three dates with Tetsu Takano in May. He mentioned the Rayflower Net Radio; I would think he participated, but I haven't listened to it. I ripped this a while back, but never got around to posting it here. Sakura's on facebook now... for some reason. Creature Creature was on the radio and net for Nacks Beat Shuffle. there are two videos you can (in theory) view here: beat shuffle movie page. there's the Jam and Talk videos. problem is, though, i can't play either on my computer, and i can't save either. any chance anyone here can save these files and upload them?? i, and i'm sure a number of other fans, would be eternally grateful!! Sakura is going to be drumming for Creature Creature in June, along with bassist Hitoki (!!!!) and guitarist Hiro. Hopefully they play together more than just these shows, because this is the most exciting thing I've heard in so long. Is a myspace dedicated to sakura's translations.... so If you have myspace enter now and read the translations ^^!! I know that is a little late because in Japan is already november 21th xDDD! but here, in america is still november 20 ^^! He wrote today a blog entry but is in japanse so I don't understand too much but! I think he talk about his mother... because this is the first year that Sakura doesn't have his mother next to him u.ú! My first post here n///n My english is not good.. but... I hope you understand! As all we know, Sakura publishes several things on his myspace blog. The good news is that a girl from Hong Kong is translating Sakura's blog entry!! I got up from bed just now. As I'm going to the Drum School tomorrow, I wanted to make myself get used to "sleep at night and get up early in the morning" routine. But I failed. Undoubtedly, experience is a great teaching material. As I was thinking of revising stuff about acoustics and sound waves, I found my physics reference books. Physics is one of my favorite subjects when I was still a school kid. I've forgotten most of the formulae though. Well, those are reference books for University entrance exam you know. I'm going to read these books for a little longer. I hope I can study these stuff again when I have time. And I still haven't finished packing for the trip. Nah, I still haven't finished packing for the trip. Tomorrow (or Today, to be accurate) morning, the staff will come to pick me up. As I can buy all the necessities when I get there, there's no need to bring much. The Olympics is going to end during my drum school trip. Oh, summer is near the end as well. Ah, by the way, this summer I've been to Okinawa. SID invited me to go there during their tour in order to thank me for my long time hard work with the band. I did work hard as a live staff you know. I will be staying there for 3 nights, so I should bring 3 underpants.